Frank & grace . 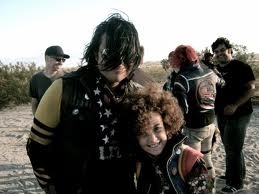 Frankie and grace :). Wallpaper and background images in the My Chemical Romance club tagged: danger days: the true lives of the fabulous killjoys grace frank iero my chem mcr my chemical romance chemical. This My Chemical Romance photo might contain green beret, special forces, elite soldier, navy seal, seal, and rifleman.